It’s early on a Saturday morning. My mind is still fresh from a good night’s sleep, but as I slowly begin to wake, I’m quickly reminded of all the things to do. It has been a busy week around here as I’m heading to Atlanta in a few short days and I still have some things to do before I leave. I have been struggling with finding a balance lately and have to make a conscious effort to step away from my tasks and do the things that matter most to me – spending time with my family. So yesterday we took a little day trip to the cottage where Brody swam in the lake, the kids splashed in the pool and my laptop remained closed here at home. Today we will gather at my parent’s house to celebrate my little sister’s birthday and my laptop will once again remain closed. 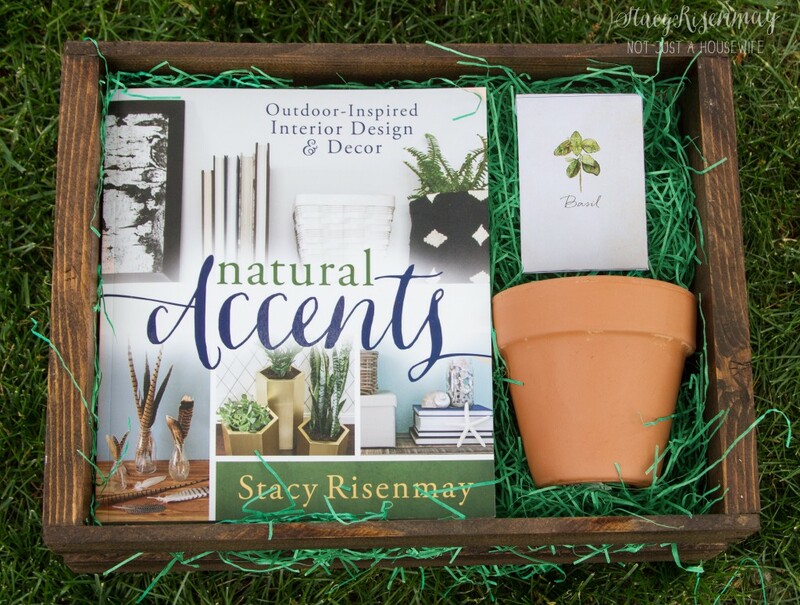 Before the weekend gets on its way, I wanted to drop by and share this adorable craft I made last week that was inspired by the brand new book written by my dear friend Stacy – Natural Accents . Back in the Spring, I had the honour of meeting and spending time with Stacy and I cannot even begin to tell you how funny, sweet and beautiful she is. This is how the book arrived to my home. If this doesn’t tell you that this girl puts her heart and soul into everything she does, I don’t know what will. Remember that little basil print? You can find it and print your own HERE. 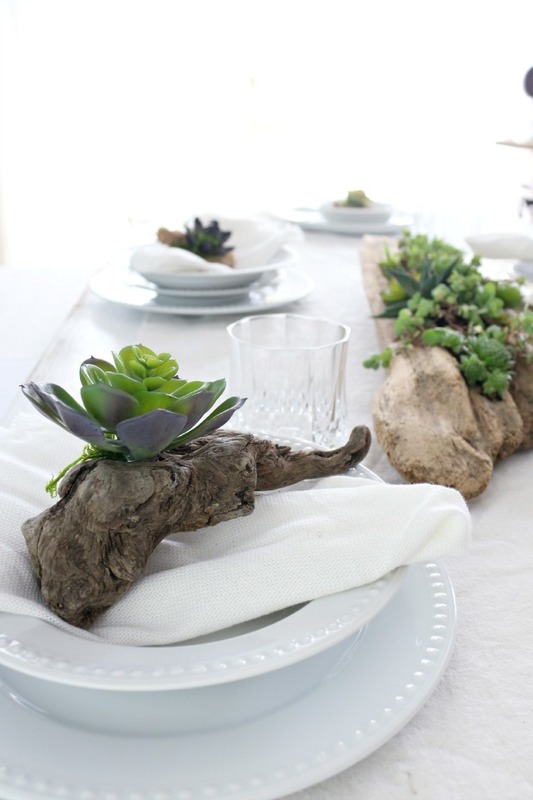 I love using natural elements in my decor as they are not only easy to find, but also add interest to your space. They can be changed from season to season and as we are fortunate enough to live near water, driftwood is easy to find. For this particular project, you can use any old piece of weathered wood or branch. 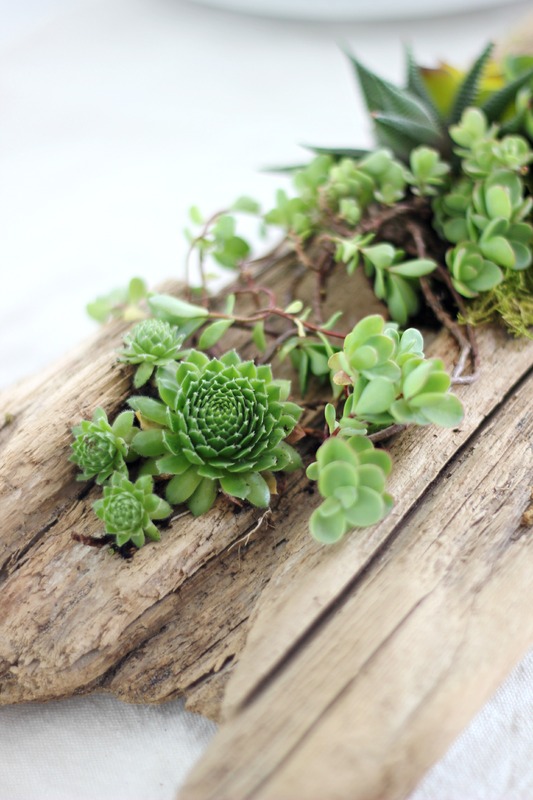 I will be sharing the easy steps to making your own driftwood succulent planter later on this week. I also wanted to make these sweet driftwood place cards to coordinate. 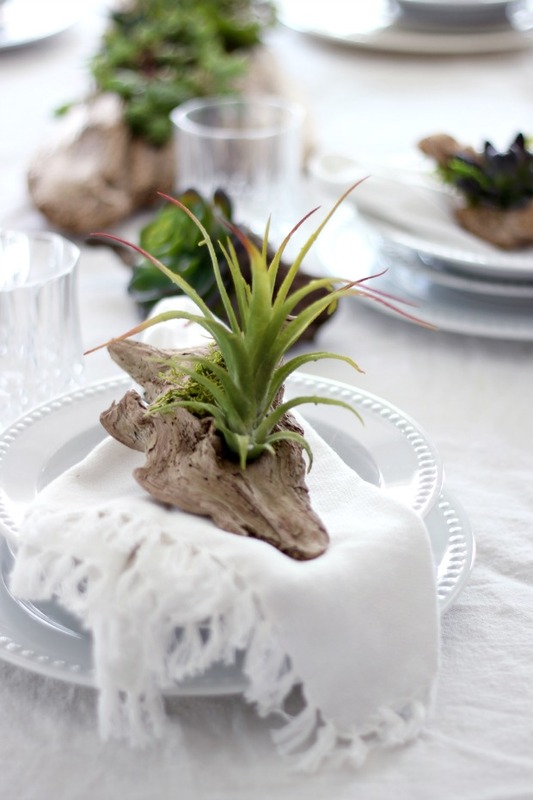 As they are being used on a table, I decided to use faux air plants and succulents from my friends at FloraCrafts. They have the most beautiful assortment of succulents and air plants. Don’t they look real? Find interesting pieces of driftwood or old weathered wood. 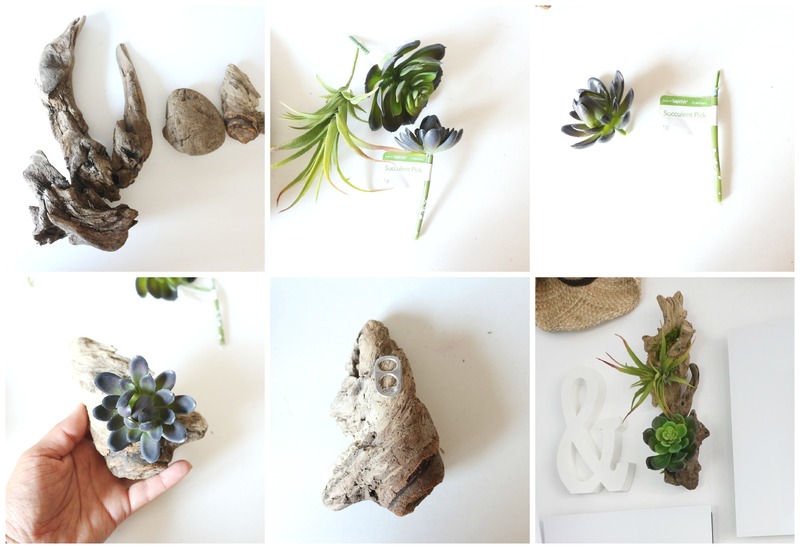 Choose your faux succulents or air plants. Hot glue to your piece of driftwood and add some moss for a little more interest. 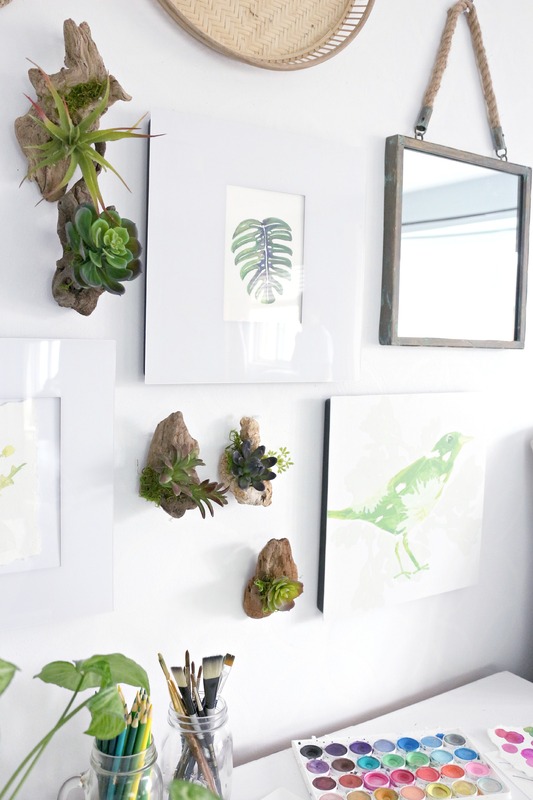 Optional: If you want to hang them – hot glue an old soda tab onto the back or use a a small piece of Command Strips . I decided to use them on my gallery wall from last week. 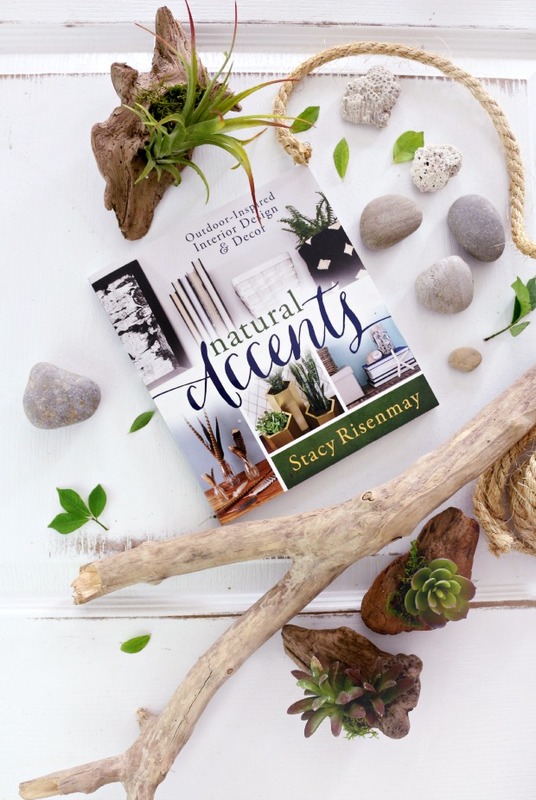 If you love this little project, you’re going to love my friend’s book ; it’s filled with easy and inspiring projects, using items readily available from nature. Thank you so much for stopping by and reading along today. 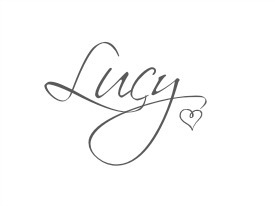 LOVE these, lucy! they are so naturally pretty! You are so amazingly talented. I love these little driftwood place cards. 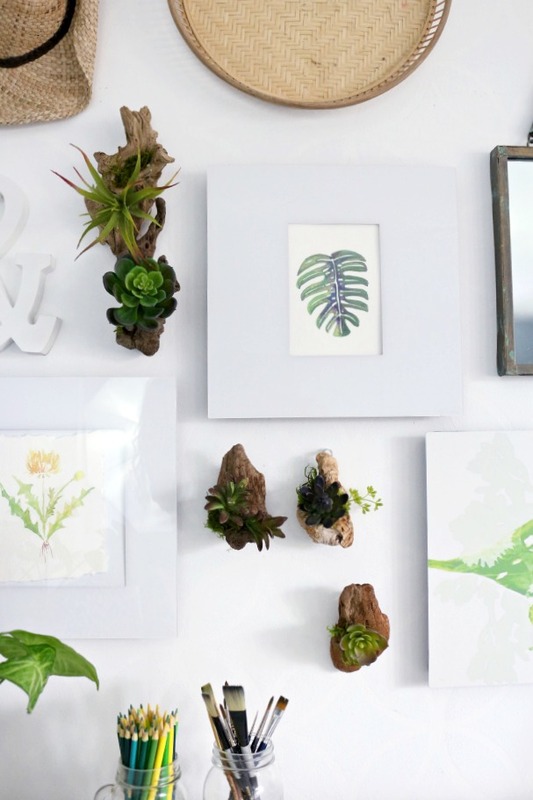 I’m a outdoor girl and love nature themed craft projects that bring that peacful feeling indoors. Beautiful! I absolutely adore this idea! What a great idea. Have a great week! Just beautiful! So happy to see you at Haven! Would have totally thought they were real! love!! I have never used this Online tutorial to learn but now this time this is necessary for me to audio system connections know this process for my windows 10 OS desktop.